“Apparently, it’s going to be a thing now,” wrote a spokeswoman for the Michigan Department of Environmental Quality in an internal email when the media began asking questions about the tainted drinking water in Flint. Now that it has long since been “a thing,” public health officials are attempting to calculate the financial cost of the atrocity. Peter Muennig at Columbia University’s Mailman School of Public Health estimates the total cost to be $458 million: $58 million is what the state paid for providing medical care and unleaded water; $400 million is the estimated long-term human cost. The lifelong bill reckons $50,000 per child exposed to lead. This amount apparently covers the afflicted person’s lifetime of low economic productivity, need for all manner of welfare programs, and the cost of the criminal justice system to manage the violence that results from lead poisoning. Flint documented more than 8,000 cases of exposure to lead. How tidy to be able to sum it up like that. The point of the Atlantic article and the case that Muennig is trying to make is that cost of prevention is far less than the consequences. Those costs can be rendered in the interest of maximizing human well-being or simply protecting a municipal bottom line, depending on one’s priorities. Either way, confronting the cost up-front—for public-health measures as for so many things in life—tends to be difficult. It also tends to divide people along political lines. Michael Moore, a Flint resident, offered a solid analysis of what happened and why. To sum up, Governor Rick Snyder appointed emergency managers for a number of the state’s economically distressed municipalities at risk of insolvency, including Flint. Flint’s appointed manager decided to save money by switching its supply from Detroit’s, which draws upon Lake Huron, to the Flint River. 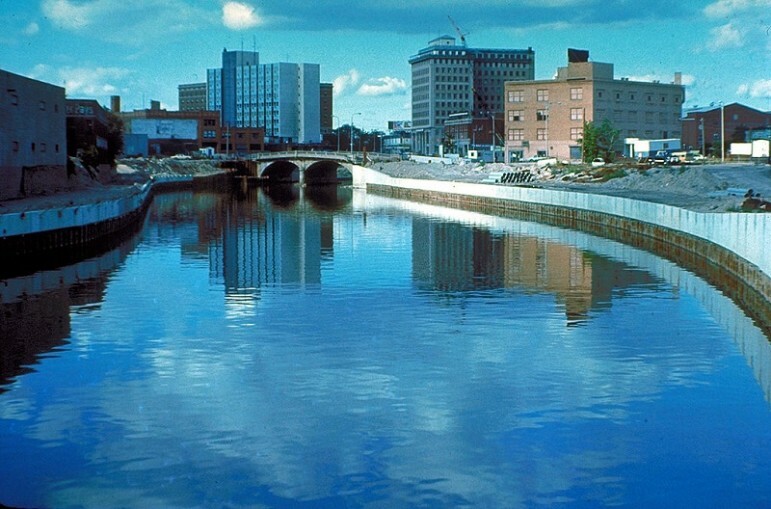 The Flint River is infamously filthy, but the Michigan Department of Environmental Quality insists the water is just fine. As stated in a New Yorker commentary, “Residents’ tap water turns smelly and brown and tastes weird. Complaints are ignored. The state’s Department of Environmental Quality insists that the water is fine—maybe there’s some rust, an occasional finding of E. coli.” President Obama eventually declared a federal state of emergency and the National Guard was deployed to distribute bottled water. Some 8,000 lives exposed later, the problems caused by the decision to use Flint River water remain unresolved and expensive to fix. Hence the case for cold numeric calculation. Previous calculations have estimated that for every dollar spent preventing lead poisoning, the benefit would be $10.50. Even with return like that, Muennig sees it as politically unviable to spend the necessary tens of billions of dollars to identify all houses built within with a risk of lead leaching into the water supply and trying to replace their pipes. “That might fly in Scandinavia, but not here,” he said. Flint reveals the face of poverty. It’s not just lack and deprivation, but the choices others force upon the poor, such as permitting poisoned water to flow to every home. We express horror and indignation. We demand change. Snyder remains in office and Flint is not in the news much these days. A ruling comes after two years of contentious legal battles between the city-owned utility’s labor unions and the Los Angeles mayor and controller.